The Jerusalem District Court issued, on Tuesday, a temporary lien for a plot of land in occupied East Jerusalem belonging to the estate of the late Palestinian leader, Yasser Arafat. Hebrew-language news outlets reported that the court issued the order at the request of eight families, who identify themselves as “victims of terrorism,” and who filed a civil damages lawsuit against the Palestinian Authority (PA) and Arafat’s estate. The plaintiffs claimed that if they win the lawsuit, it would be difficult to collect the compensation from the estate and requested to place a temporary lien on the property, in order to fully collect their damages. A lien is a claim against an asset that allows a person to keep the property of a person who owes them money until it has been paid. 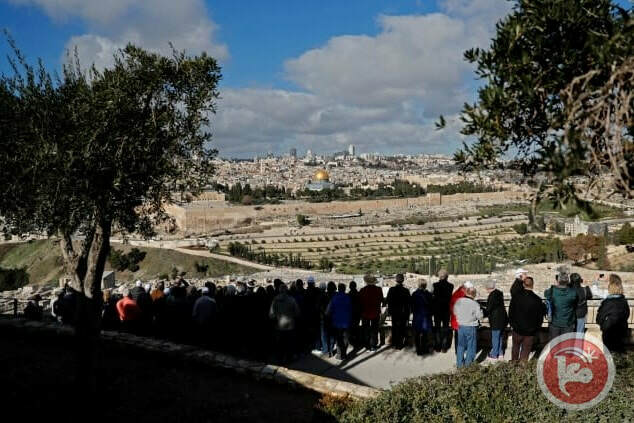 The land measures 2.7 dunams (0.675 acres), most of which is located inside the cemetery on the Mount of Olives, which Arafat inherited. Arafat's estate makes up 135-square-meters, about 0.5%, of the plot of land in question. However, the judge ruled that legally it was possible to put a temporary freeze on the entire plot. Yossi Arnon, the lawyer representing the PA in the case, said he intends on taking action to reverse the ruling.